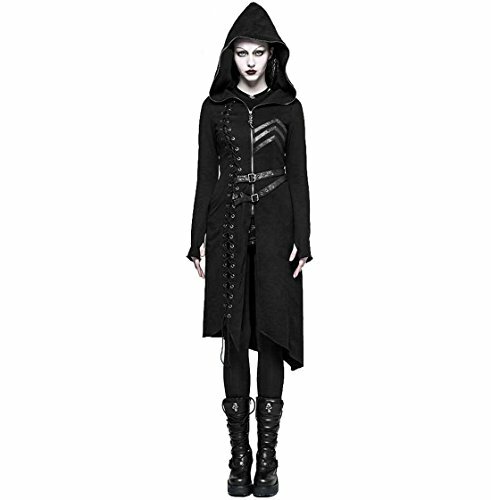 FASHION STYLE: Gothic, Post Apocalyptic, Metal & Rock, Nu-Goth Gothic IndustrialPunk style long jacket with a hood. Knitted fabric is similar to the thick cotton hoodies. 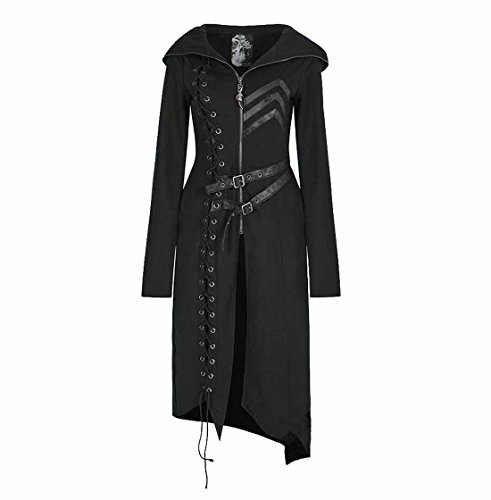 Asymmetiric synthetic leather decorations, decorative lacing, Dragon claw pendant on a zipper, large hood, diagonal hem. There is a special hole in the inner side of the sleeve for the thumb. This light coat can be worn as a hoody sweater and it is suitable for cold summer nights, warm spring and early autumn.